Learn about the site, some history, and a few fun facts. Have a question? Comment? Hot tip? Let us know! 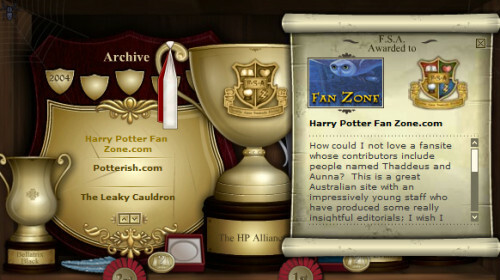 Harry Potter Fan Zone was the 2007 recipient of J.K. Rowling’s prestigious ‘Fan Site Award’. A dedication to the people who’ve helped and guided us over the years. Take a look at some of the pranks we’ve pulled over the years.